November is such a transitional month in California. I personally feel that this month truly and confidently brings in the winds of fall and winter, as steam rises perceptibly from clenched coffee mugs while waiting for a chilly engine to warm or a bus to come pick you up. This is a month of dramatic change. 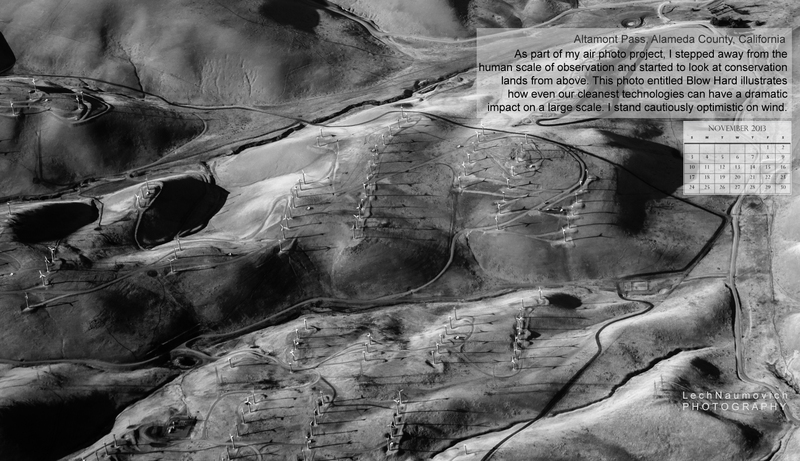 With that I’m writing a short post wherein my calendar for the month is a) in black and white and b) opens up the question of the footprint of green technologies on our landscape. Winds of change… hmm. I have a special treat in store as I’m excited to be meeting The Great Texas Wind Rush author Kate Galbraith this weekend to discuss her new book. I guess Texas blows – she’ll be talking about that. Now I’d better get back to that book I should be reading! 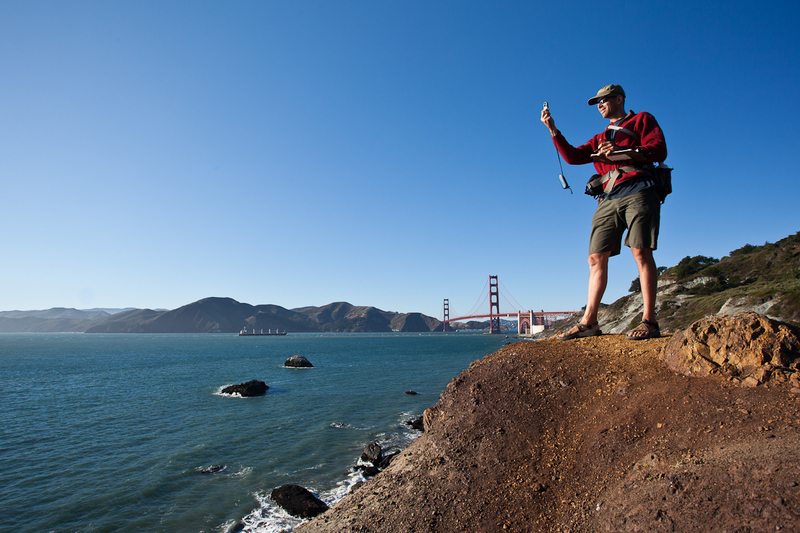 A coworker and friend, Jimmy Quenelle, recording wind speeds at Land’s End. So here’s my quick post and run calendar. I hope to have some really great thoughts on wind after meeting Kate and discussing her book with our Environmental Book Club!